I went to an interesting Q and A a couple weeks ago at my favorite local running store, Bosque Running Shop. The guests were Lauren Fleshman and her ‘Little Wing‘ group of runners she coaches for Oiselle. The group was in Albuquerque altitude training for a month and agreed to do a short 3m run and Q&A session following with anyone that attended. It was a great experience running with a bunch of girls that are vying for the 2016 Olympics and to realize they have daily struggles just like every other runner out there. The girls talked about goal setting and Lauren specifically talked about writing them down as the first step – even those dreams that scare you. Something that really struck me was when she said something along the lines of, “You may not achieve those huge goals, but you need to enjoy the little steps that happen as you work.” The type A part of me could not get my head around setting a goal and NOT achieving it, but maybe that is something I need to work on – to be proud of the process and not just the end product. I bought a copy of Lauren’s Believe Journal, got it autographed by all the girls and started my goal setting process. The Journal has fantastic tips about goal setting and basic training and I am excited to reflect on my running this year. I am hoping it helps me see the bigger picture when I get hurt or am not running my best and maybe find clues as to what works best for me. 1. Stay healthy. Listen to my body. Take rest days. Foam roll like crazy. 2. Strength and Core at LEAST 2 days a week. 3. Achieve a 10k PR. Done….see below! 2. 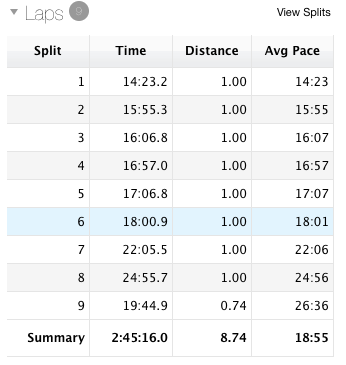 Sub 2 hour 1/2 marathon…and if training goes well, maybe even a PR (sub 1:53) in April. 3. Pull back after the 1/2 in April and continue to build a strong base for San Diego Rock n Roll Marathon May 31st. 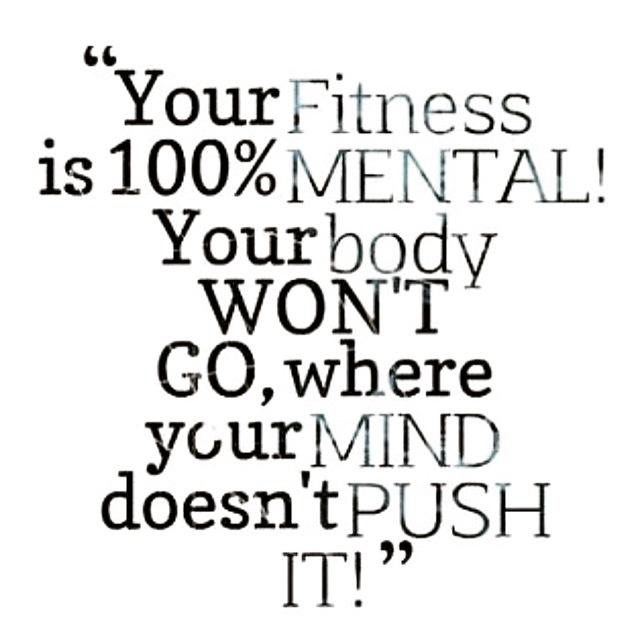 Own the marathon. No walking. 4. Trail Running this summer. La Luz August 2nd. 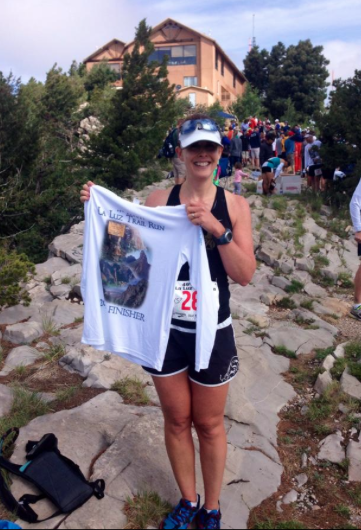 Ragnar Angel Fire August 28-29th. Enjoy the mountains. 5. End of year marathon or early 2016 marathon. I am ready to enjoy the journey. Enjoy my health. Be grateful. I have been training since mid-December for a 10k to try to get back some speed. After an injury prone year and a half I was finally ready to push myself and not be afraid of injury. I wanted to run fast again. My fastest 10k to date had been 52:52 set back in 2012. My training was pointing toward a PR right up until I was taken down with the flu for two weeks. I missed the hardest training week which was disconcerning to me, but decided to just pick up on the schedule where I was and not try to ‘make up for lost time’. 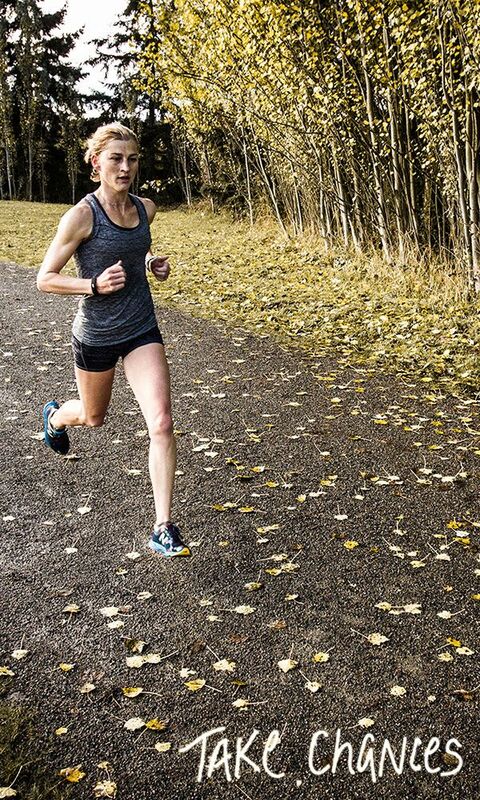 Once I got back on my feet I had a couple more confidence boosting runs right before race day, so I decided to push myself and be uncomfortable in the race, push through my mental barriers. I finished in 50:58 – so close to a 2 minute PR and an 2nd Place AG Award! 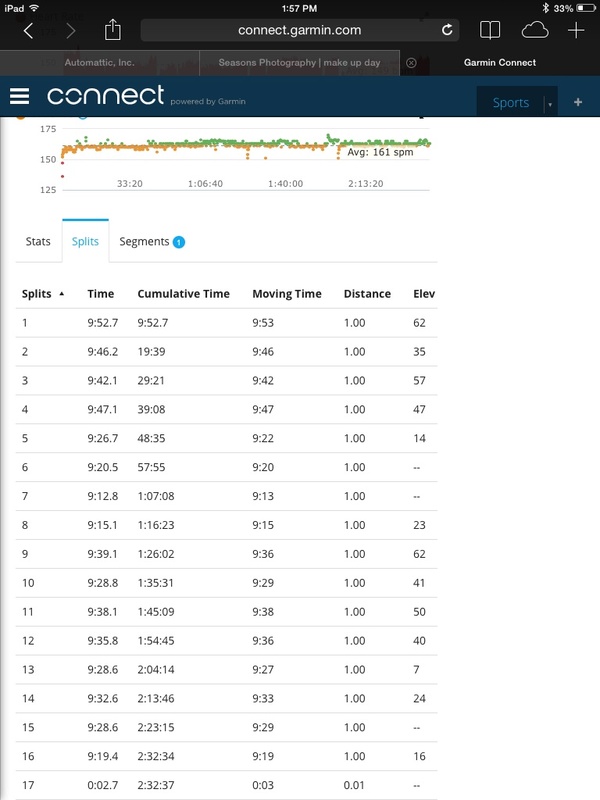 I had a strong race for the first 4 miles, averaging 8:05 miles, but fell off the last 2.2 with 8:25 per mile. I knew I was going out faster than I should, but am so happy that I pushed myself to the limit. 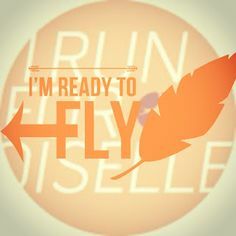 I used the mottos, “Fly” and “Take Chances” I found on Oiselle’s pinterest boards to push myself through the tough parts. 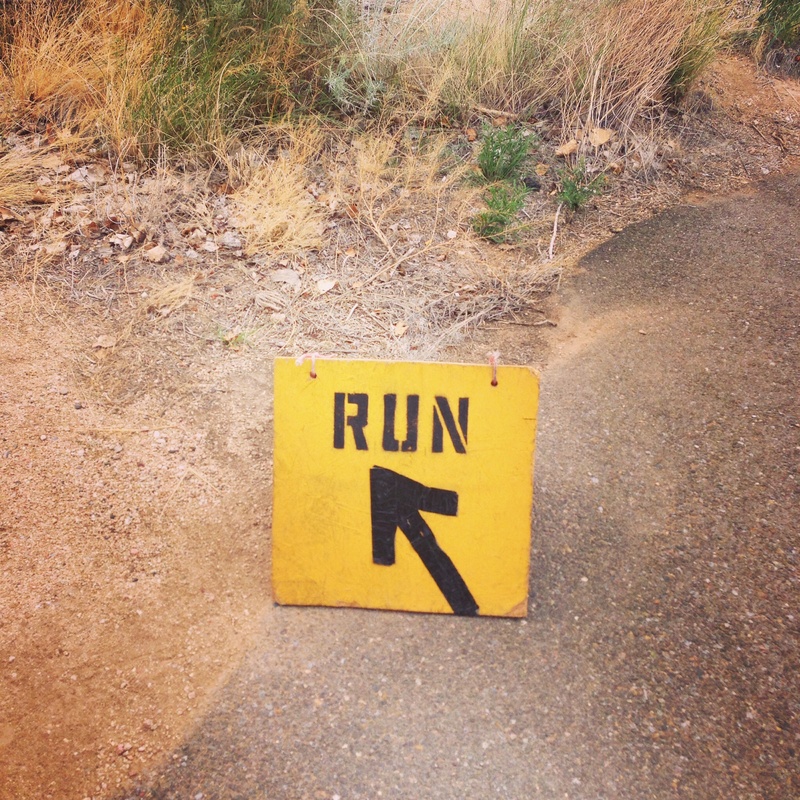 Take Chances – In my dreams I look just like this when running. I wanted to walk during this last two miles, but told myself it was just my mind… my legs still had speed. I find the hardest part of racing is getting over those little voices in my head telling me to stop or walk ‘just for a minute’, so if there is a bigger victory than the PR I set it is that I was able to quiet those thoughts and hang on. Next up, maybe a sub 50:00? Ok, Ok, technically it is not the eve of the marathon…I have two days until the Duke City but I feel like everything I do from here on out is going to effect my performance on Sunday so let’s take a look at where I am at. After getting over strep throat four weeks ago, I went out and kicked some serious a$$ on my 20 miler. I averaged a 9:53 and felt pretty decent when I finished…and by decent I mean completely spent but think I will be able to push for the last 6.2 at something close to that pace. Now, I know that running race pace for a long run is frowned upon, but I had such a horrific 19 mile run two weeks before that I really needed a confidence booster. So I did it. 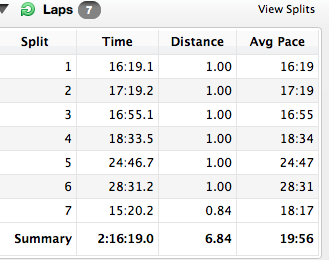 Race pace on my longest run. And then I decided to not follow conventional wisdom the next week either – 16 miles at 9:30 pace. Yes – a long run at FASTER than race pace, but it gave me the ego boost I needed and made me feel like I was ready to tackle the race. Then came speed bump number one: Achilles Tendinitis. While out on an easy 4 mile run two and a half weeks from race day I was stopped in my tracks by a pull in my calf. I knew right away it was my achilles and it did not feel good. I hobbled home and rested for a few days, iced, road my bike like a crazy person around town and yes, perhaps cried, because I was again going to have to DNS another marathon I had signed up for just like last fall. Circa 1994 Schwinn Mountain Bike that weighs 1,000+lbs. It gets the job done, though. I immediately went in for an assessment with a PT and it was recommended I get deep tissue massages, rest, ice and take some time to let it heal. After all, I was two weeks from the race and my training was done – I wouldn’t gain anything by pushing through long painful runs now. I had two fabulous massages that loosened both my achilles and my bum hamstring that has been bothering me since March and followed the strict PT directives to take it easy and am feeling so much better. I also went out and bought a new pair of shoes. About two weeks before the achilles strain happened I switched to a new pair of Mizunos – a type that I had never worn before because they discontinued my current Mizuno line. I just had an inkling the switch might have something to do with my injury. 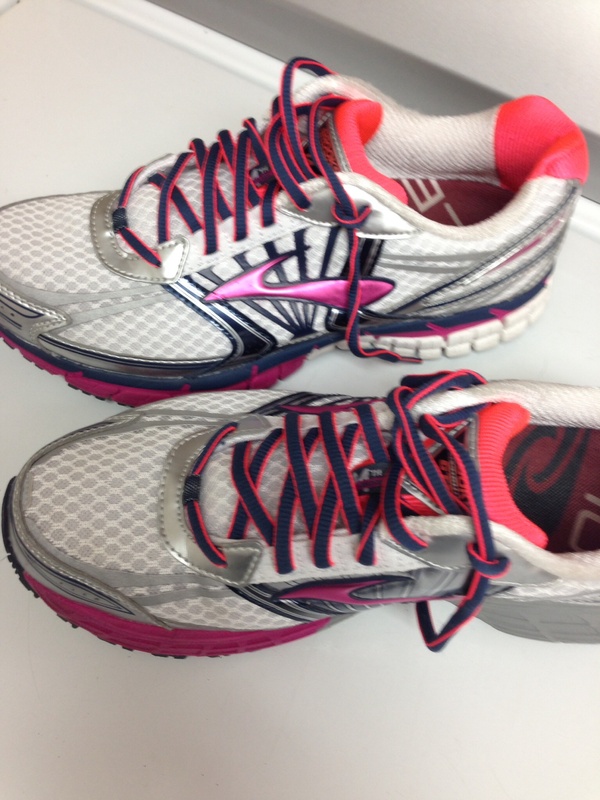 The minute I put on the new Brooks Adreneline I felt almost immediate relief. Shoes sent from heaven to save my achilles. They are much more supportive, and while heavier than the Mizunos, I feel like these shoes are going to get me across the finish line. If you are a runner you know that I am about to commit one of the cardinal sins of running: switching to a brand new brand of shoes days before the marathon. I know. I know. I have run in them for my short taper runs this week and they just feel so good on my achilles. I have to do it. Stay tuned for the race report next week when I am either going to be praising Brooks or posting pictures of my blistered and battered feet. Lets hope for the former. Our household was hit with another round of sickness within a months time. I started with the kids and then, as most moms do, I came down with it right after they got better. The dreaded cold with congestion in my head and chest. It caused me to skip my long run three weeks out from the race and couple other runs and suffer through my last long run of 8 miles with all sorts of walk breaks and nose blowing. After 10 days of complaining and barely running and taking every supplement I could find, I have turned a corner. Congestion has cleared, I have slept well and I feel like I have my strength back…JUST IN TIME! Race day in Sunday. I am monitoring everything I eat from here on out. I have the world’s most sensitive stomach so nothing but white bagels, plain chicken, potatoes, and oatmeal for the next two days. I also have some Immodium tablets in the waiting for Sunday morning. The weather is calling for low of 49, high of 75 with ‘sun and clouds’. I am super excited about the ‘clouds’ part of the forecast because we don’t get a lot of cloud cover in the Land of Enchcantment and a little shade will be nice on the trail, which is mostly exposed for about 24 of the 26 miles. I plan to wear a tank top with my new Oiselle Roga shorts (don’t worry. I have tested these out on a couple long runs. Wasn’t going to make a second cardinal running mistake by wearing new shorts!) which I absolutely love! I have a pair of knee socks that I cut the feet off to wear as arm warmers for the first couple miles when it is freezing out and then can toss in the garbage when I feel I don’t need them any longer. I plan to fuel with GU along the way and will pack one bag of honey stinger chews just in case my stomach can’t take another GU after 20 miles. I have three salt tabs to take each hour to ward off cramping and will take water and powerade along the race course. 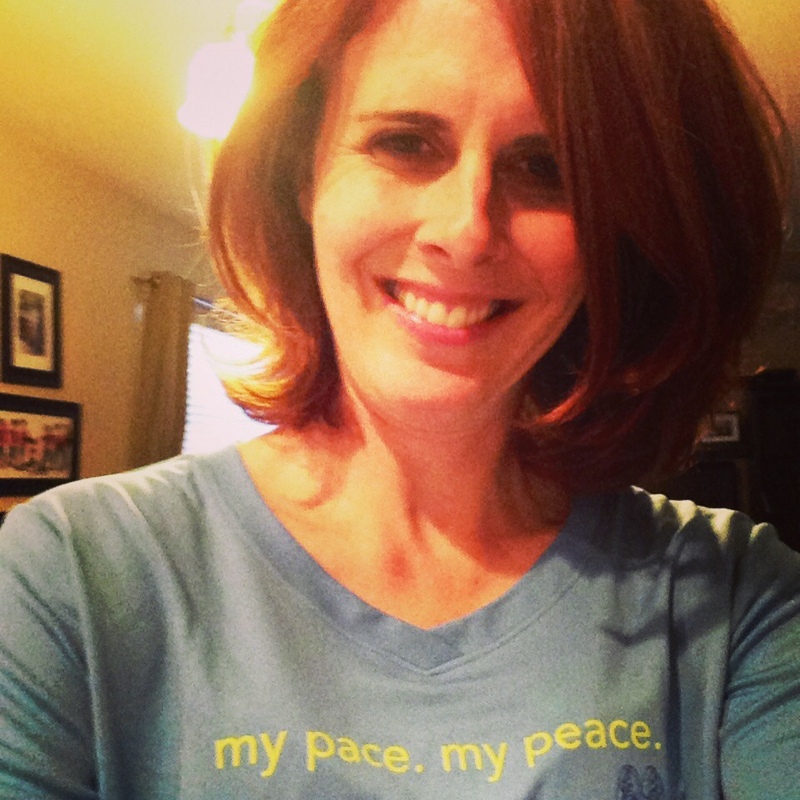 The pace plan is to start slow for the first 3 miles at 10:00/miles and then pick it up at four to race pace of 9:45. There is a particularly hilly part to the course from mile 10 to 14 that I would like to really hold on to race pace, and then if I am feeling good at 14 I plan to push a little faster on the way back (the course is out and back). This is all hypothetical of course, because with my last marathon being a total bust (due to mono) I really don’t know how I am going to perform. A: 9:45 pace for the race. This would translate to a 4:15 completion time. This is a big stretch, but maybe if the stars align I can get there. B: Beat my first marathon time by an hour. This would be a finish time of 4:39 or a 10:15/mile pace. This may be the most realistic goal. C: Not walk. Have fun. And remember that this is just the start of my marathoning journey, because I already have my eye on some 2015 races. Happy racing this weekend everyone! #342! If you see me on the course give me a shout out! I am certainly going to need every good vibe I can get! Do you ever type up a post and forget to publish it? Well here is a little something I put together a couple weeks ago…. My running journey this fall has been a whirl wind. 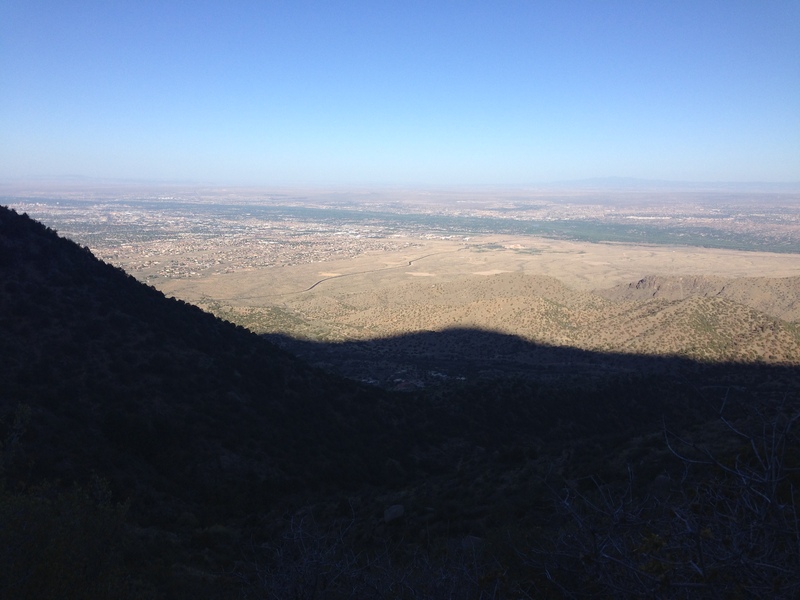 Since the La Luz Trail Race I refocused my training on the Duke City Marathon on October 19th. 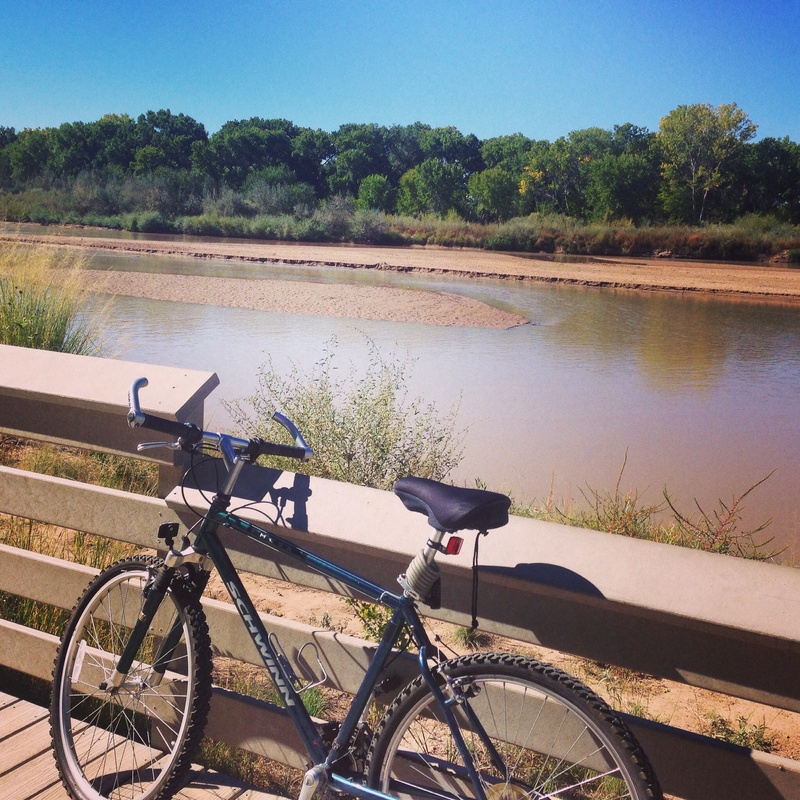 I completed the Rio Grande Half the middle of August with so-so results. I finished in 2:07, which was a minute faster than my spring half marathon, but I was hoping for a little more improvement. 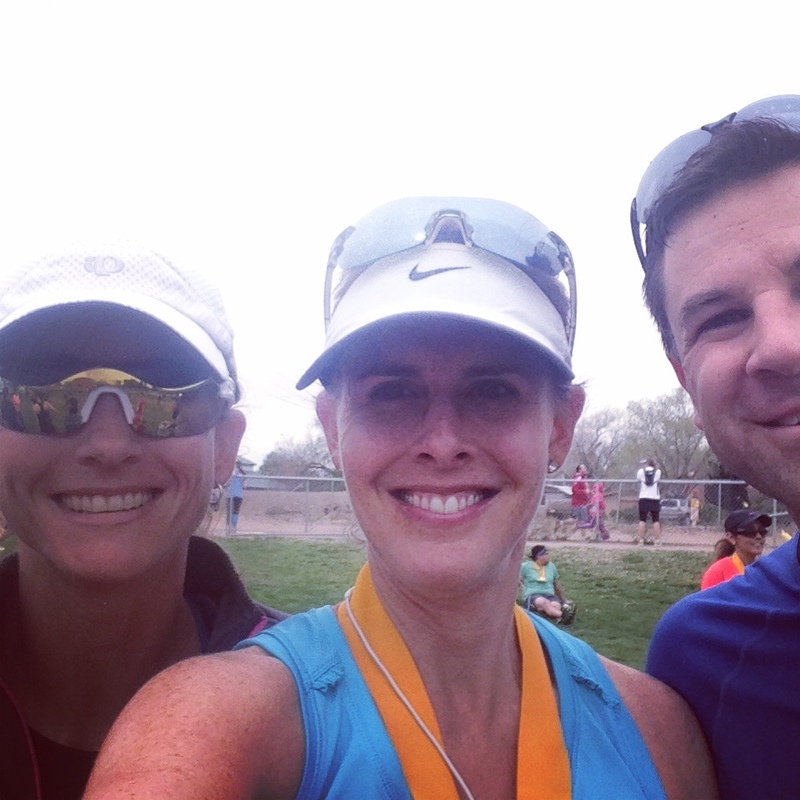 I tried to remind myself that I hadn’t tapered at all for the race, using it as a training run for the full marathon, and the weather was hot, hot, hot by the end. What the race did do for me, though, was motivate me to train harder. 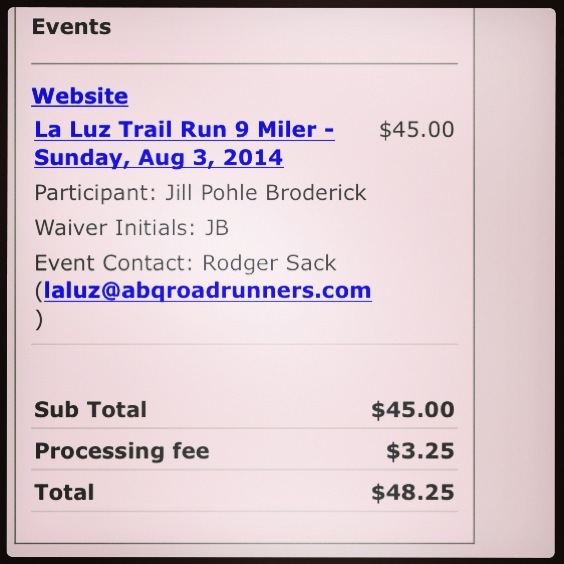 I signed up for the Chips and Salsa Half Marathon in September and was really excited to run this race. I have had really good luck on this course in the past and the weather always seems to be beautiful on race day…and it was going to take place on my birthday this year. What more can you ask for? The stars were aligning and my training was really strong the weeks leading up to the race, and then I came down with strep throat. This was the sickest I have been in years and instead of racing a fantastic race, I spent the weekend in bed. Strep throat moved it’s way through the family, but we are all back to good health, and I am back to training with the big goal still ahead of me: the marathon. Last weekend I had my longest run of the training plan: the dreaded 20 miler. I decided to try some new things nutritionally that I haven’t done before and they worked out great. 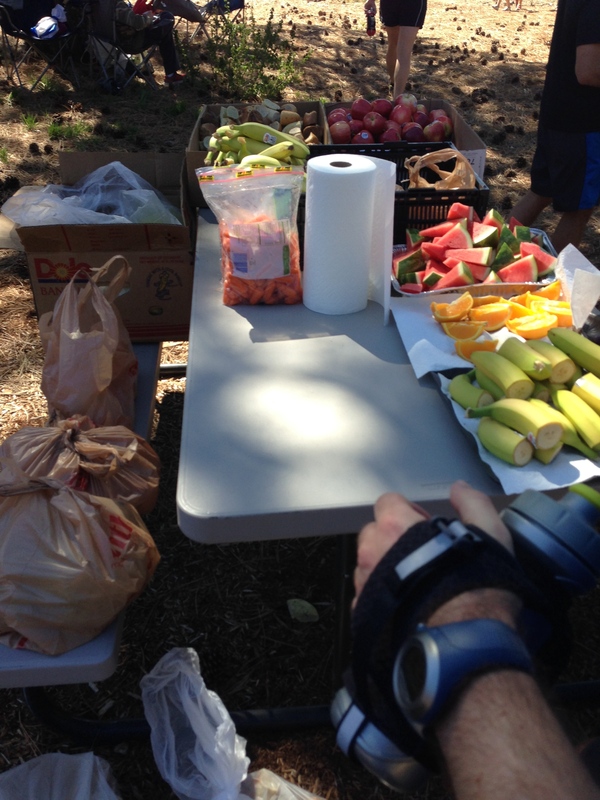 I read an article from Runner’s World that discussed prerace meal and timing. It talks about the amount of carbs you should ingest and that, ideally, you should eat 3-4 hours before the race. Because I aim to get out on the road by 5;00am on my long runs, that meant I had to set my alarm for 2:00am to eat. I downed a white bagel with peanut butter and a whole bottle of gatorade which contained about half the calories and carbs RW recommeneded, but just couldn’t choke down anymore. I attempted to go back to sleep for a couple hours before running and was able to eat a small banana on the way to the start of my training run. While I didn’t enjoy getting up in the middle onf the night to eat, I have to say that I felt stronger over all throughout the run and eating that far in advance helped me not feel too full before running. I am definitely going to try this again during my 16miler this week and see how I feel. The second new thing I tried during the 20 miler was salt tabs. This fall it seems like any run over 12 miles my quads have started to cramp up. While I am very careful on getting enough hydration, I felt like something must have been missing. I took one tab every hour and my legs, while tired, did not cramp up during the 20 mile run. I am going to try them again this weekend as a second test before committing to them for race day. Over the next few weeks I plan to stick to the training plan and take it easy. 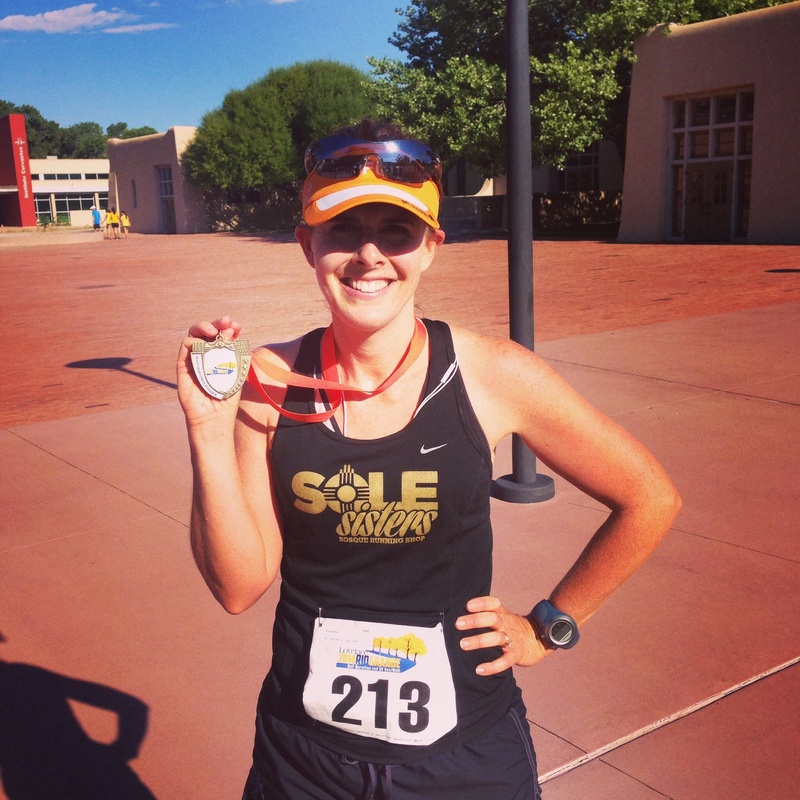 September and October are fantastic times to run in New Mexico and with a slew of 5k and 10k races out there it is hard not to want to get out and race, but I have come to far to mess this goal up. Eye on the prize. Yesterday I completed what I consider the hardest race I have ever participated in. 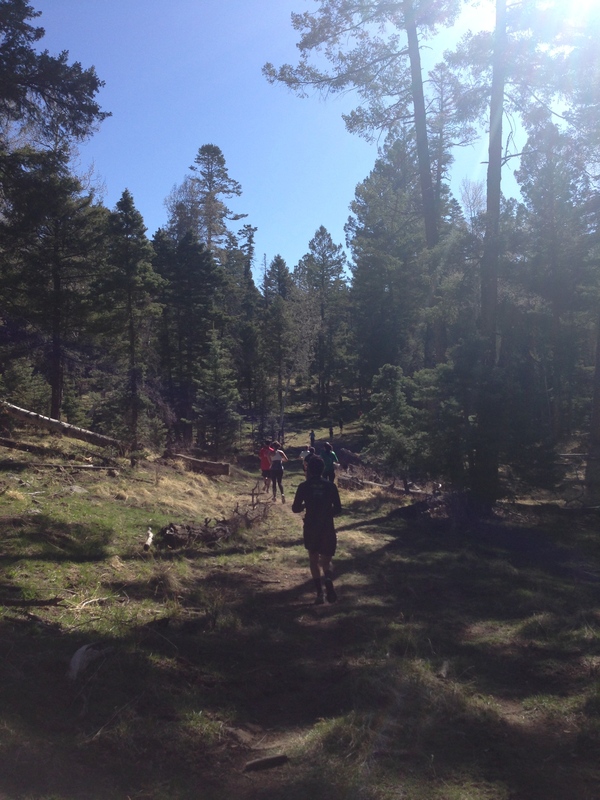 The La Luz Trail Race. The La Luz Trail is a beautiful trail that runs up to the top of the Sandia Mountains – the mountains that border one side of Albuquerque. 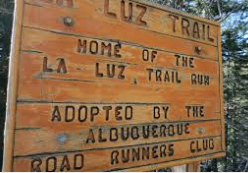 I have long thought of the La Luz Trail Race as a right of passage and something I NEED to do as a runner from Albuquerque. This year, I threw caution to the wind and put my name in the lottery even through I rarely ever run trails and had only hiked the trail once before in the 12 years of living in New Mexico. I was lucky enough to be one of 400 people selected to do the race, and so my ‘training’ ensued. With other race commitments and travel plans this summer, I only made the accent up the trail three more times before race day. 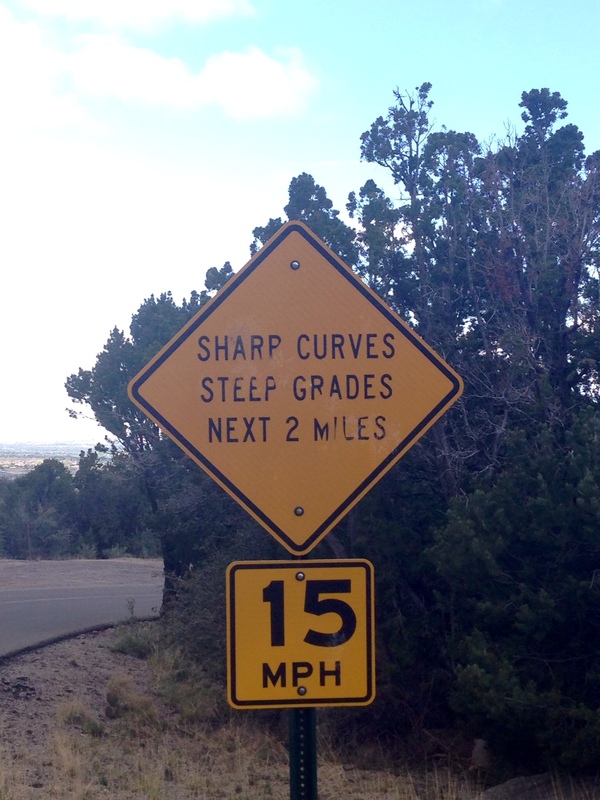 I did do some extra hill repeats this summer, but not necessarily at the altitude the race runs at. Yesterday I got up at 5am to run up a mountain. The race begins on a twisty, turn-y, steep Forest Road that leads to the trail, which I was not excited about but now realize that it is a great way to ‘sort out the runners’ before hitting the single track trail. I started near the back of the pack because I knew I was going to have to employ a run/walk approach right from the start and I was so pleased to see others doing the same thing. The first few miles on the trail are a slow incline of switch backs and I found myself sticking with a group for awhile until I had an opportunity to pass and catch up to the next pack of runners. 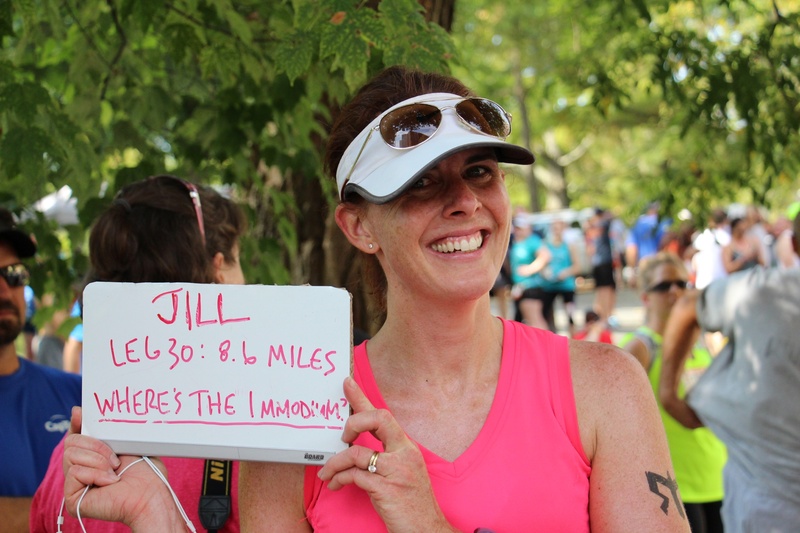 By mile 5 (of 9) of the race I had found ‘my people’ – the group running the pace I could keep up with and that helped me keep pushing forward. 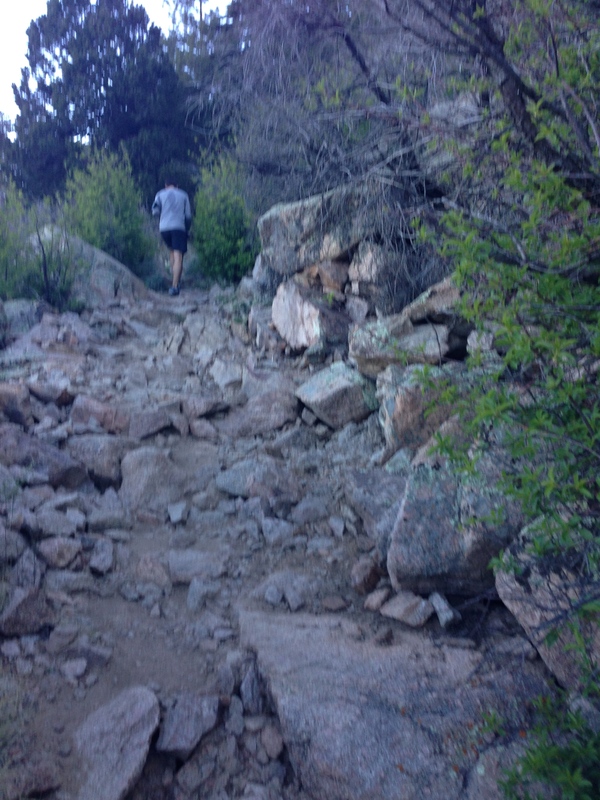 At around mile 6 the dreaded ‘rockslide’ starts – 7 or 9 switchbacks across loose boulders that you have no choice by to walk across and the trail gets increasingly more steep from here on out. This is where the mental toughness starts to kick in. One foot in front of the other. Hike with purpose. Don’t slow down. Just keep moving. I focused my gaze to the persons shoes in front of me and just tried to keep up. As we neared the final turn off at 8 miles, I was really feeling the altitude effects – light headed and my legs were burning and fatigued. Up to this point I hadn’t stopped once on the trail, but found that I had to catch my breath two times before getting to the finish line. 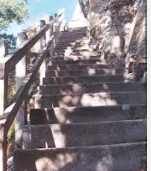 This portion of the trail is the more brutal – steep and a set of stairs that just seem like a cruel joke after what you have already gone through. I would say this is the portion of the race that I most regret not being familiar with. I had only run the last mile of the race once before and it would have been nice to be a little more familiar with the twists and turns during this section and to be able to judge how much more of the race was left. The second time I stopped was just about 200 feet from the finish, but I didn’t know that until I rounded the corner after I caught my breath. Every race is a learning experience. This race I learned that I am stronger than I thought. 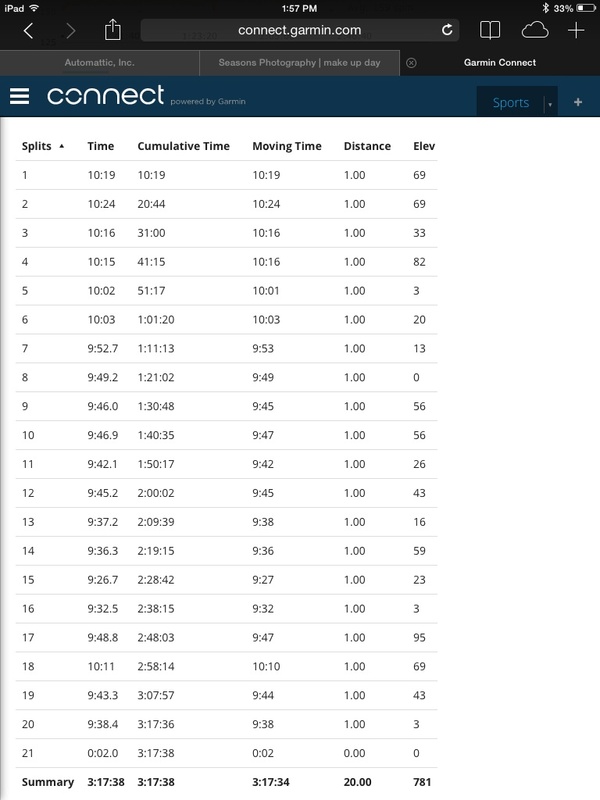 I ran about 1:30/min per mile faster than training runs, and in some portions even faster. In trail racing, it is nice to be familiar with the race course – probably more important than road racing because the terrain can very so much. If I do this race again, I will do a lot more training runs covering the whole course. The shirt only finishers receive. I think I will wear for a week straight. 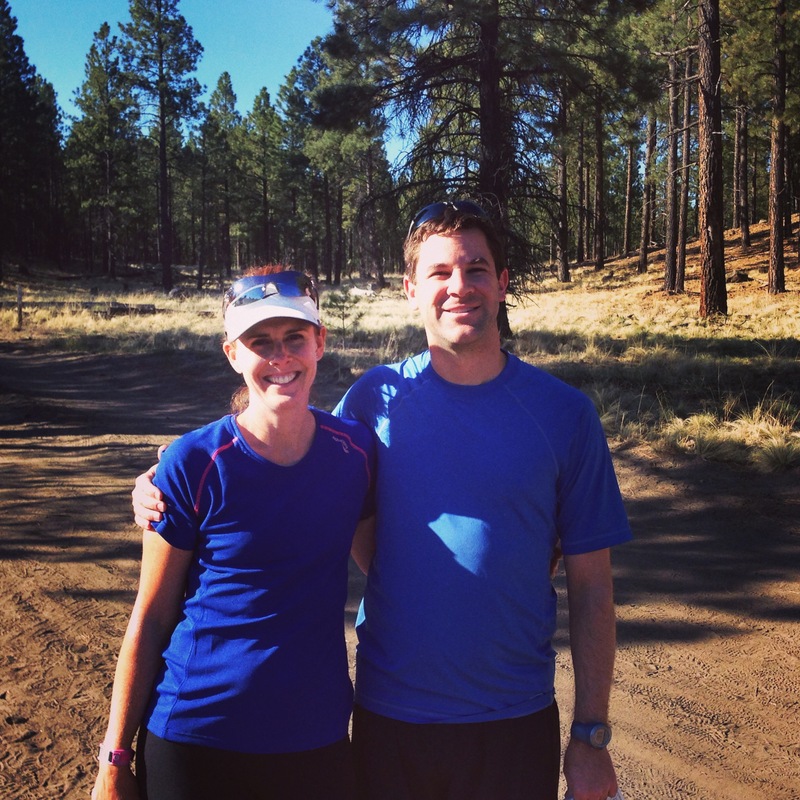 Up next: preparation for the Duke City Marathon on October 19th. I have two half marathons that I have committed to – the Rio Grande Half next weekend and the Chips and Salsa Half in September. Both these races fit nicely into my training plan for the full marathon and it will be nice to try out my pace for race day and see how it feels. I Just Signed Up For What? With Ragnar just a a few short weeks away, I have been training hard. The last two weeks I have put in over 30 miles each week along with about the same on the bike trainer. I still have some aches (hip/priformis) and pains (shins), but nothing that will stop me from racing with 11 friends over 200 miles. No turning back now! I’m in! 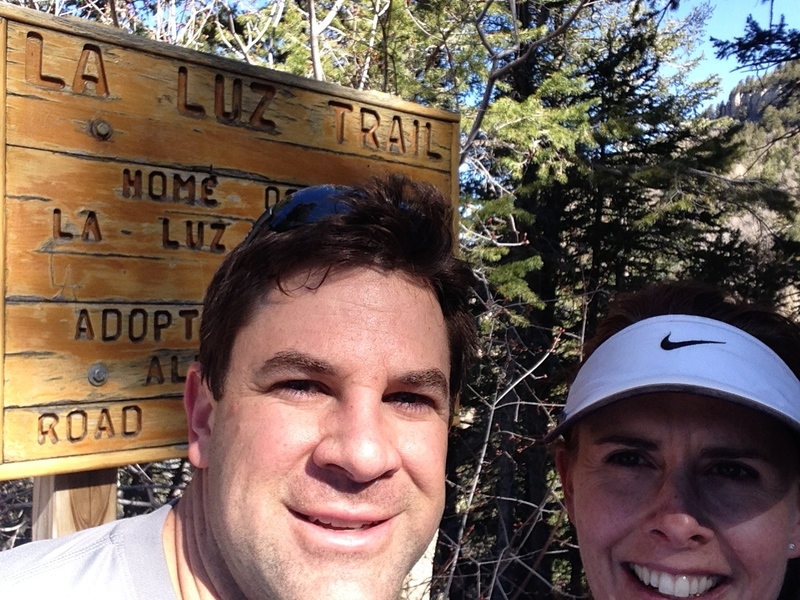 Did I mention that when I signed up for the lottery I had only hiked La Luz once in all my years living here? I remember it being hard, but I had hiked it with a bunch of girlfriends and I remember the miles flying by. 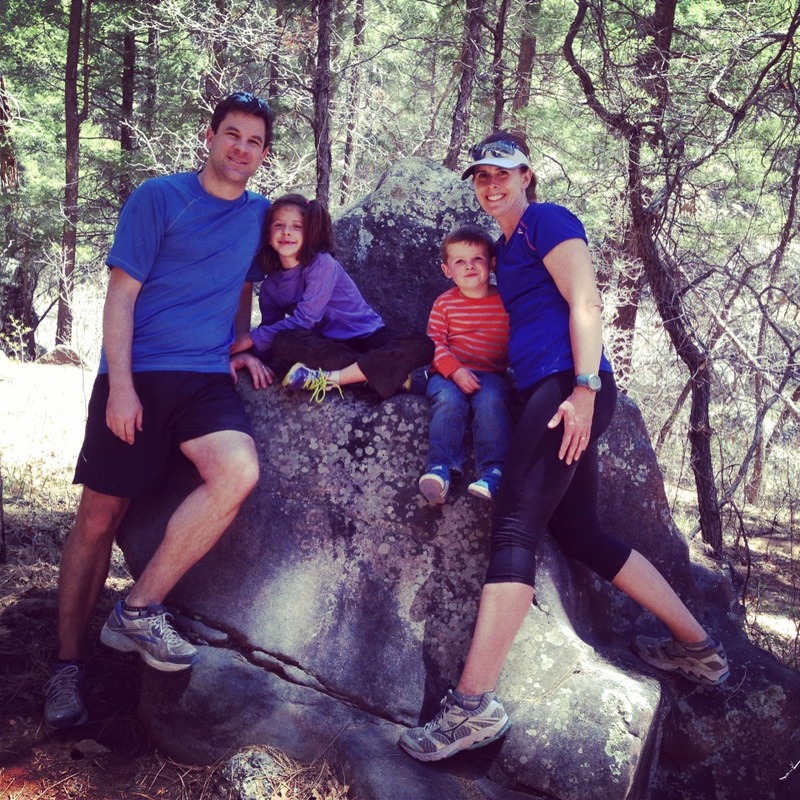 As a Mother’s Day present to myself, Tom and I got a sitter last Saturday to ‘run’ the trail and see how it felt. Start of the Trail Head. Looking fresh. We started out at 7 a.m. with some water and a couple gu, and I stowed away 6 fig newtons for us to celebrate with once we got to the top. We started out strong. We ran all the flat parts and hiked up hills quickly for the first three miles. My view for the whole trail…trying to keep up with Tom. It was beautiful looking down on the city from so high up. Pictures never to the view justice. I wish I could bottle the crisp, clean air and scent of piñon to accompany the picture for my readers. 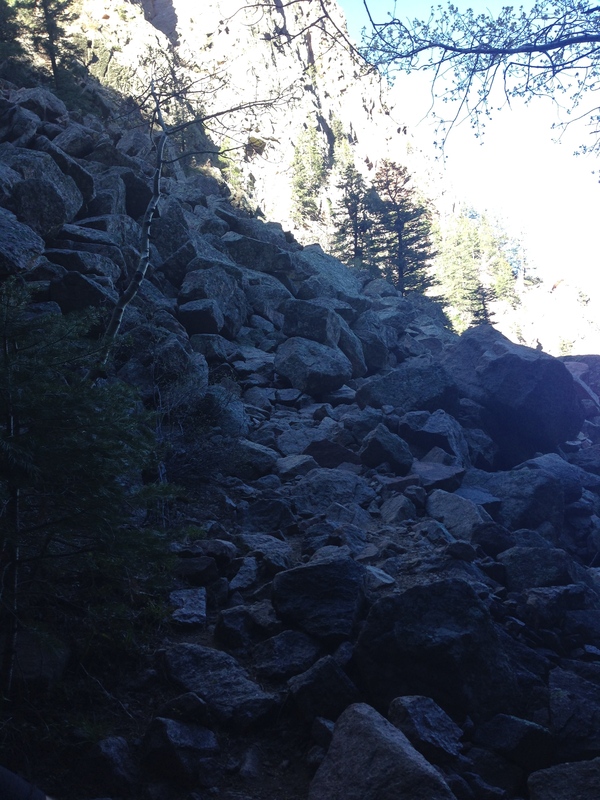 The Rock Fall area – switch backs of boulders, rocks and pebbles for at least a mile and a half. Last time I hiked the trail I didn’t remember it going on for so long, but this time I certainly noted it. We practically slowed to a crawl to get through this area without falling. I don’t know how the people in the race attack this section of the course, but I am going to make sure that I just take it easy so I don’t twist an ankle and DNF. 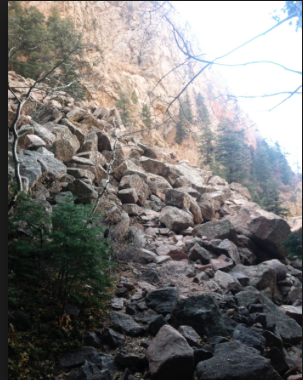 After the rock fall, the course twists and turns a few more times and then your at the top! 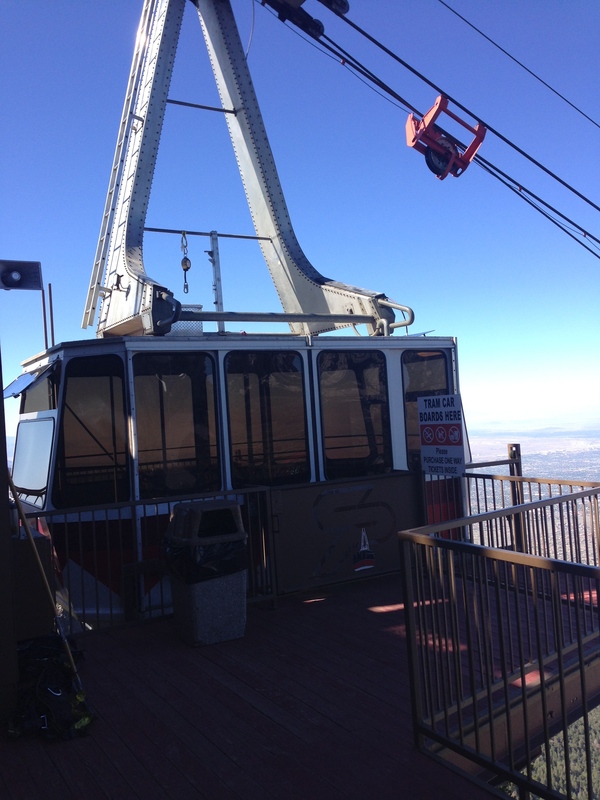 I would say the run to the tram was probably my favorite part of the day because you are on top of the mountain, running fairly flat trails and have a beautiful 365 degree view of New Mexico. We finished the course trail in about 2 hours 4 minutes – that included a couple Gu stops and photo ops. Miles 5 and 6 = Rock Fall! We did not start at the actual ‘start’ of the race – which is 1.8 miles of forest road, so I guess I can hope for about a 2hr 40 min finish in August. The course winners last year completed the course in 1hr15min for men and around 2 hours for women. I certainly won’t be the last person up the mountain, but I won’t be anywhere near the front. I’m looking forward to the training this summer, although spending three weeks at sea level in Wisconsin probably isn’t going to help much – even their largest hill is nothing compared to our mountains. But, the best thing about running a race for the first time is no matter what I complete the course in it will be a PR! 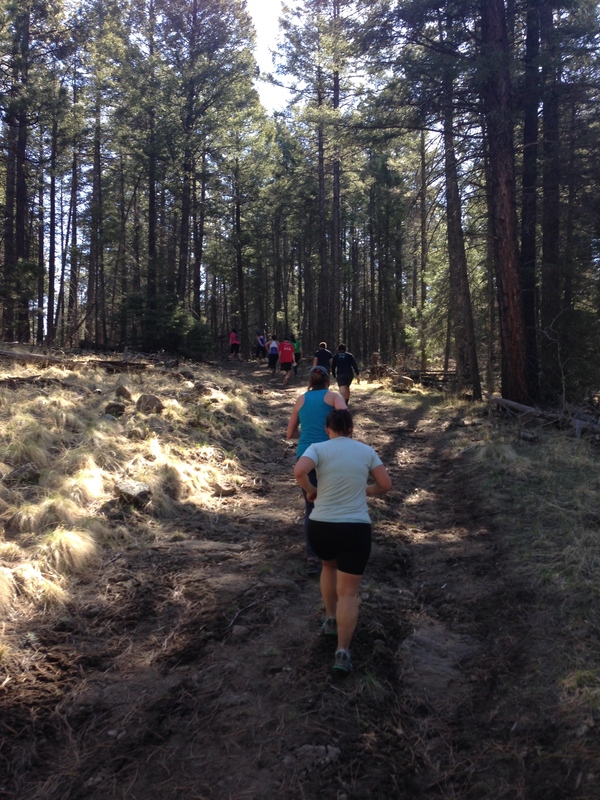 So I signed up for my first trail race – The Valles Caldera 10k – a short 90 minute drive from my house to the Jemez Mountains. My main goal for this race was to just enjoy the scenery and take in the differences between a trail race vs. a road race. Wow. The altitude. I live at 5,600 feet in Albuquerque, so altitude is the norm on a run, but I certainly could feel the 3,000 feet difference when we arrived. 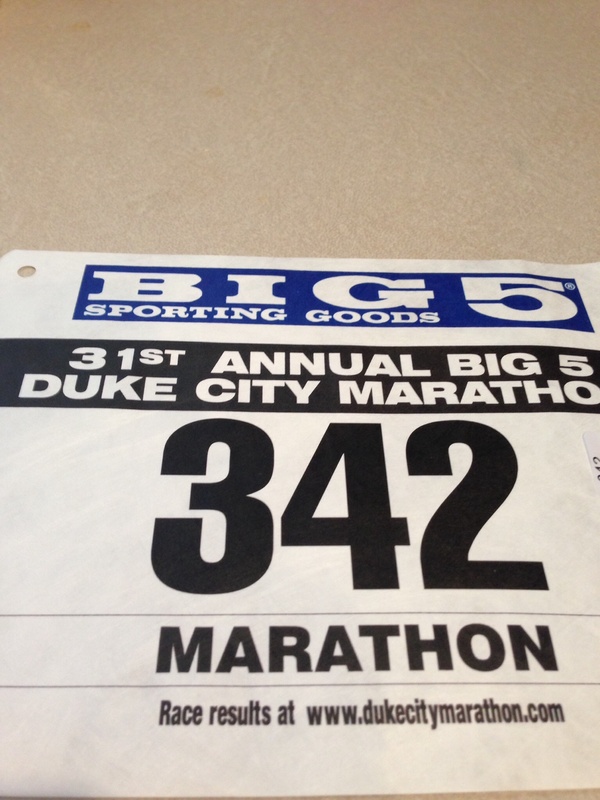 I was winded walking around the parking lot, which is not a great confidence booster before the race even started. I was really nervous which raised my heart rate before the race start, coupled with the altitude difference – my heart was beating out of my chest. Luckily, once we got a half mile or so in to the run, I settled into a rhythm and the butterflies went away. Up, up, up, up, up…. As you can tell from the altitude profile and the above picture the first three miles were pretty much straight up. 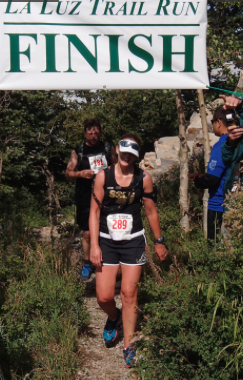 Something new to me: walking during a race – or as I prefer to call it “power hiking”. The first couple inclines I tried to run it slow and easy up the hills, but as the hills kept coming I noticed others were power hiking the hills and thought I would try it out. I love a race where you get a little ‘break’. I was even able to get a couple pictures while hiking those hills. Beautiful blue sky. 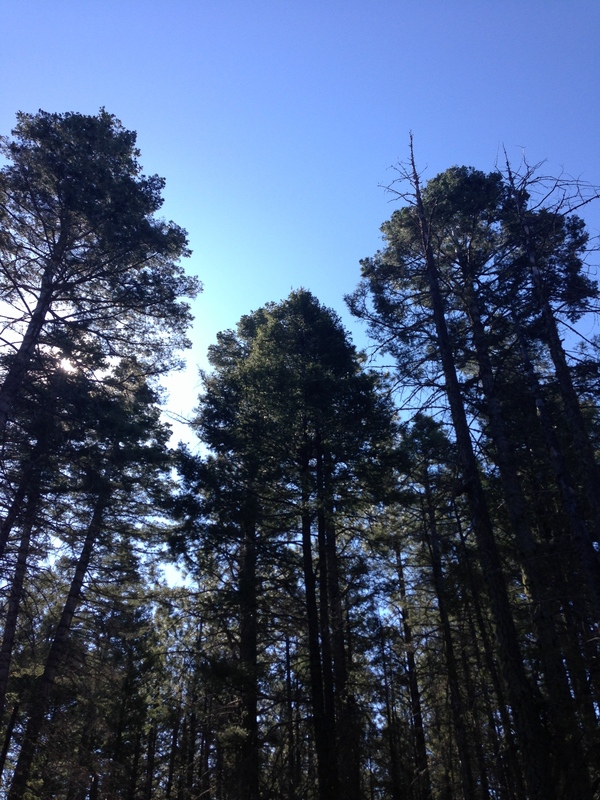 I wish I could have bottled the smell of the pines – so clean. I had to throw caution to the wind and pray to the running gods that I wouldn’t bite it running downhill – because there were rocks, stumps, branches, bushes, and more rocks. I figured this is where I would make up some of that ‘hiking’ time and pass as many people as I could, and it worked. After the 3 mile mark I never got passed and I picked off several runners before finishing. The race fuel along the course and after the race was awesome! I have never had such a variety of things at a race. They had the standard bananas, bagels, and oranges, but then there was ‘the good stuff’. 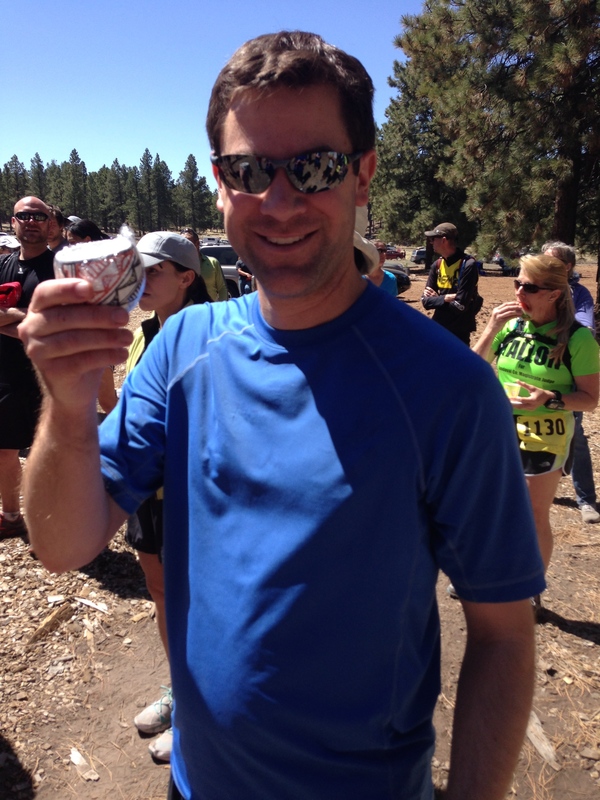 I didn’t get a picture, but at the 5m aid station they had bacon and coke (along with gatorade and water). What?! I have never known a runner to crave a piece of bacon during a run, but maybe these trail race people know something we road racers don’t. Once I finished the race I wasn’t disappointed either. 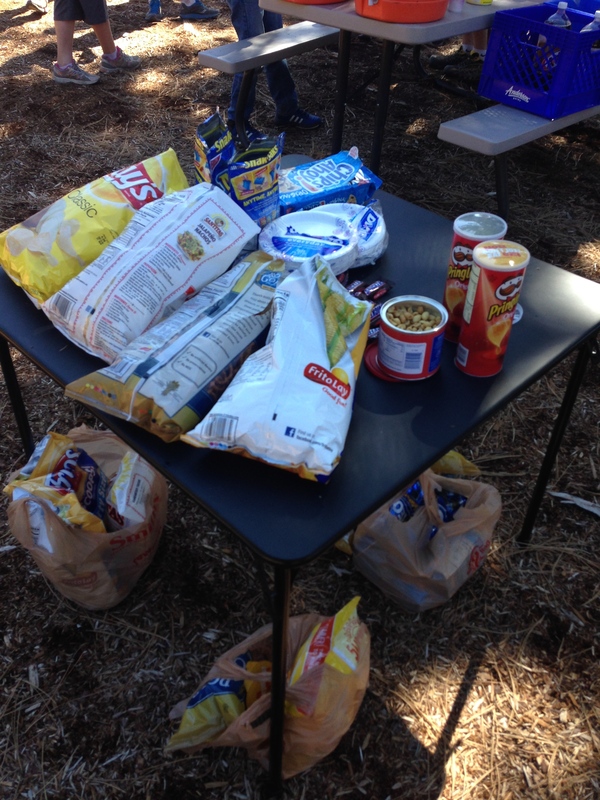 Fruit and carrots on one table – cookies, chips and nuts on another. I could get used to this. There was almost a party like atmosphere afterwards. People pulled out their cooler and folding chairs to enjoy a beer and picnic in the wilderness. Note to self: pack beer next time. No finishers medals, but if you placed in your age group you received a beautiful handmade piece of pottery from Jemez Pueblo. Tom was lucky enough to place 2nd in his age group and receive one. I placed 4th, narrowly missing my own piece by 2 minutes. Next year, no stopping to take pictures along the route – I’m going to be all business because I want one! We had a fantastic time at this race. It was well organized, communication was clear, aid stations were well stocked, and the trail was well marked. We will certainly be back next year. Where I Have Been and Where I Am Going…. and they needed to be used in a St Patty’s day race – surprise, surprise New Mexico has only one such race on the uber hilly course. We decked ourselves out in as much green as possible and headed across town to the race. Not only did I have to run the hilly course, but it was my turn to push the stroller with our almost 4 yr old. Ugh. I could barely keep up with my daughter in the race, she stopped several times to let me catch up and finally at mile 2 had to tell her to go on ahead, “Just follow the rest of the people, ” I panted. And she did. She PR’ed the race by around 10 minutes, with a finish time of approx. 34min. Wow. Just wow. 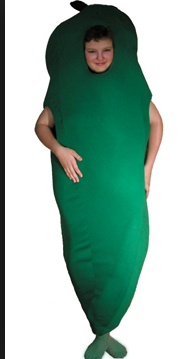 I have to give props to the guy dressed a green chili pepper costume. He started out in front of us and Cate had a fire in her to “beat the green banana!”. She passed him by mile 1 and only needed to be reminded that he was gaining on her near the finish line for her to kick it in to high gear for the last 100 meters. 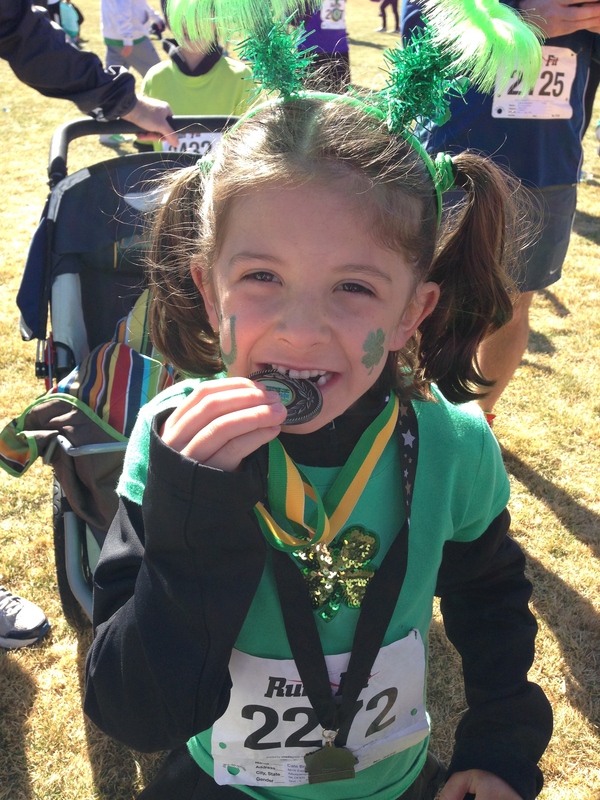 Cate ended up winning her age division for the race and was so proud of herself to get the special 1st place medal. I didn’t mention to her that she was the ONLY PERSON in the girl age 6-9 division. 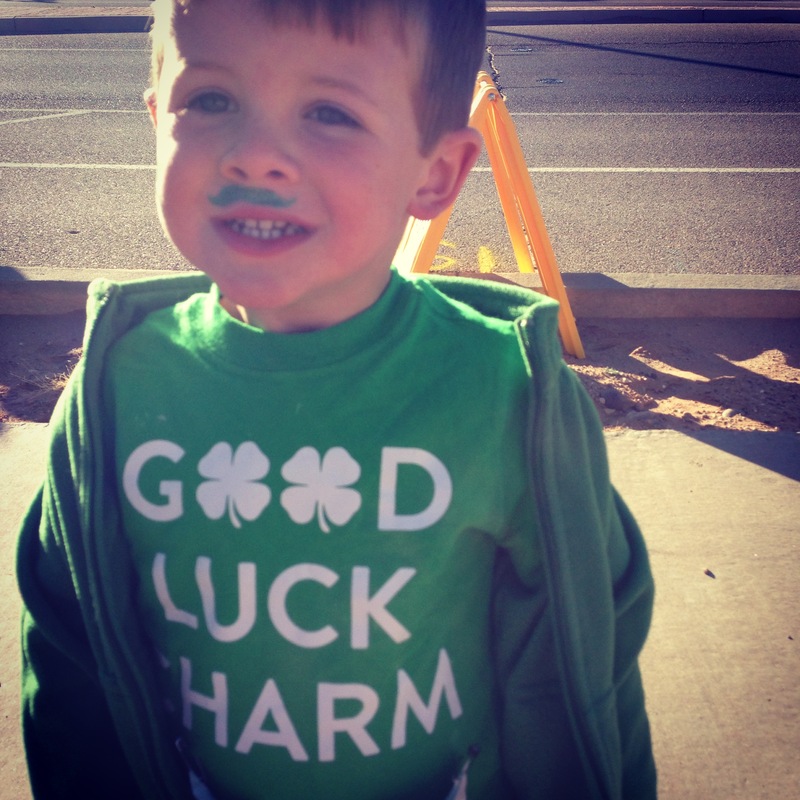 My Irish lad ready to rock the 1k. 2. 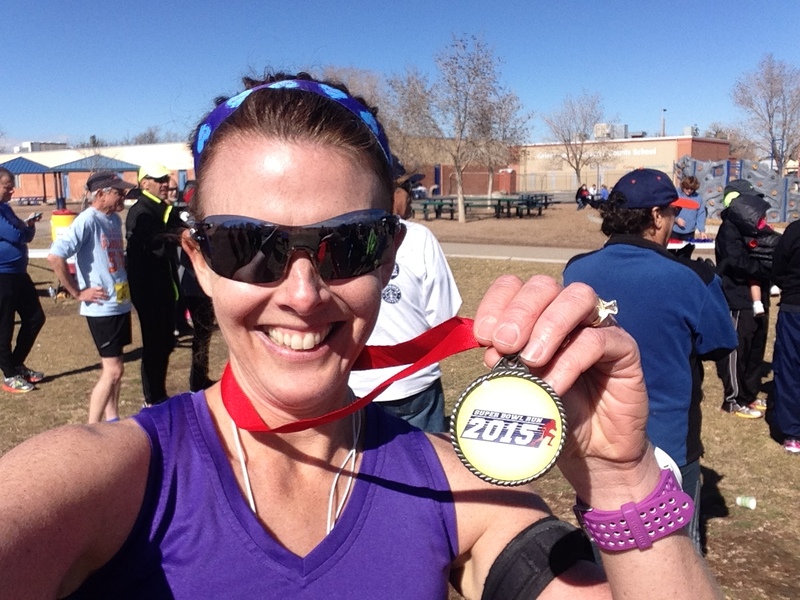 I ran the Albuquerque Half Marathon on April 19th. About two weeks before the race a tweaked my hip during a tempo run, and being the type A person I pushed through the training plan instead of taking a few days off to rest it. Resting when I am injured is really, really tough for me and something I need to work on. So needless to say, on race day my hip was still bothering me – so much that I couldn’t push myself to keep the pace I had been training for. That morning I thought I would try taking two ibuprofen to see if it would dull the pain, but by race time my hip was still hurting AND my stomach was upset from the medicine. Double whammy. 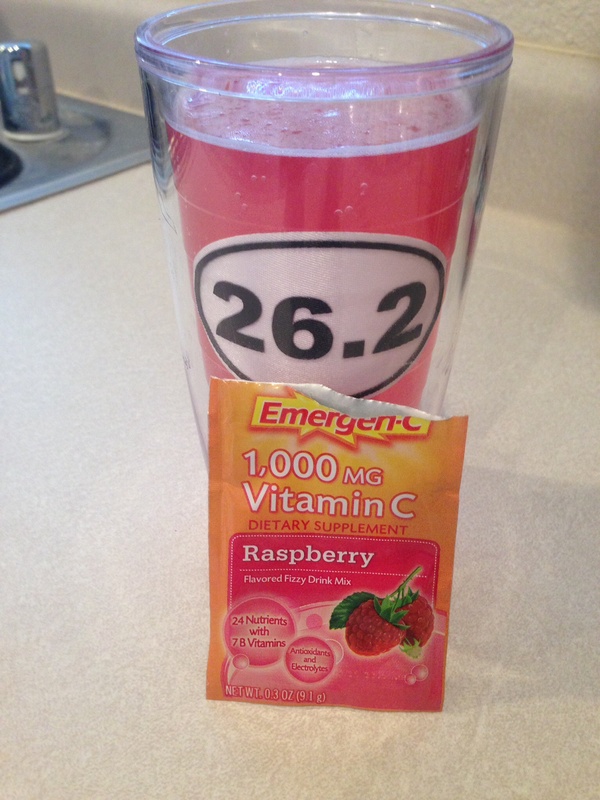 I should have learned my lesson from Ragnar DC that ibuprofen and I don’t get along…. By mile 3 or so, I resolved myself to just getting to the finish line and to take in the scenery. And that is what I did. I finished – 16 whole minutes slower than my 2013 time – but I finished. Lesson learned: Not every race is going to be epic and it sure is nice to let the pressure go and enjoy the commeradery of other runners out for a race on a beautiful spring morning. 2. 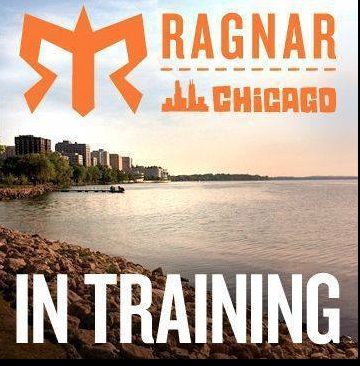 Ragnar Chicago Ragnar Chicago is just one short month away and my team and I are getting really excited. We are being sponsored partly by Breadsmith, so we thought we would pay tribute to them in our team name: This Is How We Roll. We’ve ordered t-shirts and magnets to tag other vans and have finalized which leg will be run by which runner. I’ve been assigned Leg 9 and be in Van 2. This will be different than my last Ragnar (Washington DC) when I was in Van 1 and was able to sleep from midnight to 6am. I personally think Van 2 has the harder job in a Ragnar because they have to run from noon-6pm, midnight – 6am and noon-6pm roughly – running through the hottest part of the day and the dead of night. If anything, some really funny stories will probably come of it due to serious sleep deprivation. 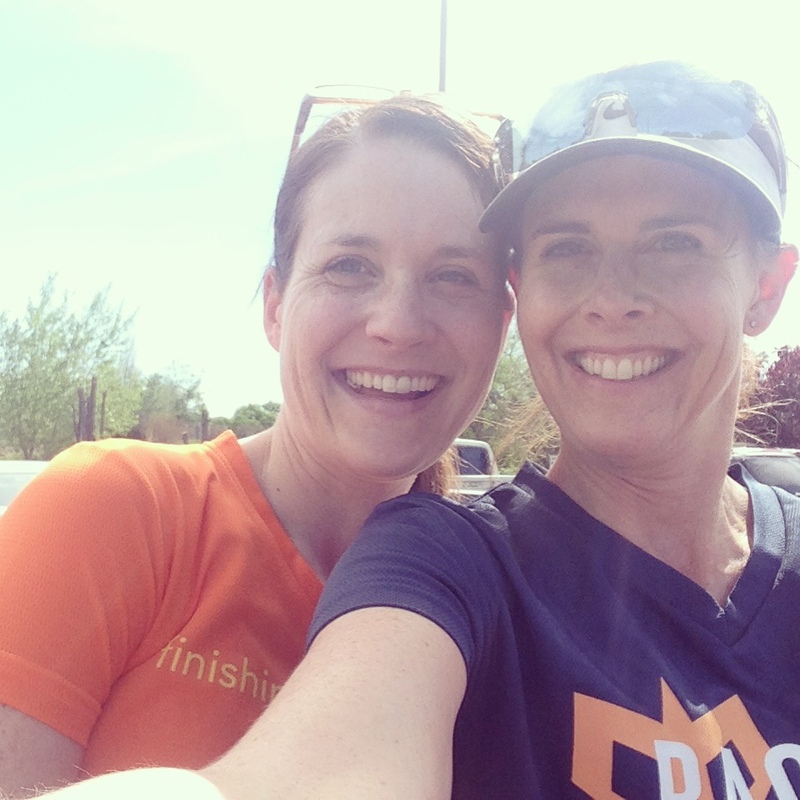 Here’s a picture of my sis and I doing some Ragnar practice while she was visiting last week! 3. 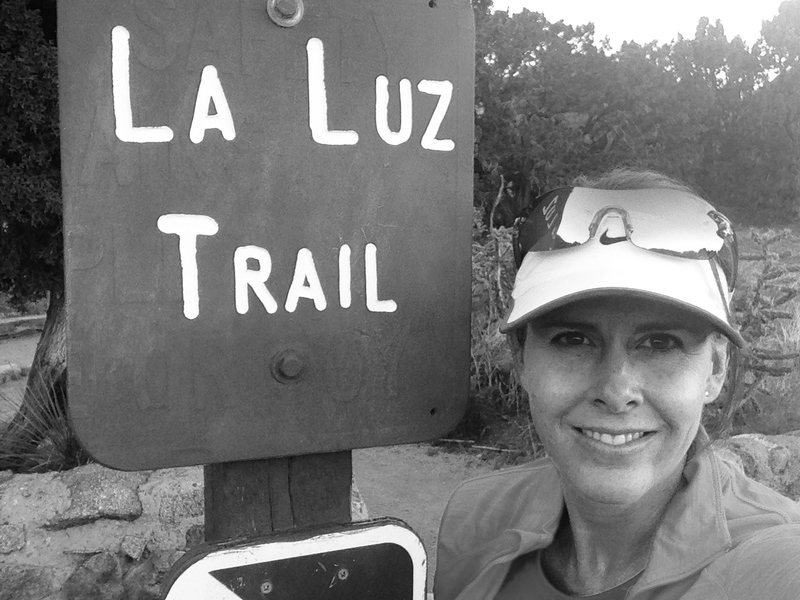 La Luz Trail Run. Sign on the first 2 miles of road leading to the trail head. I’ve signed up for the lottery drawing for an entry into what 2001 Trail Runner Magazine selected as one of the “12 Most Grueling Trail Races in North America”. Yes. 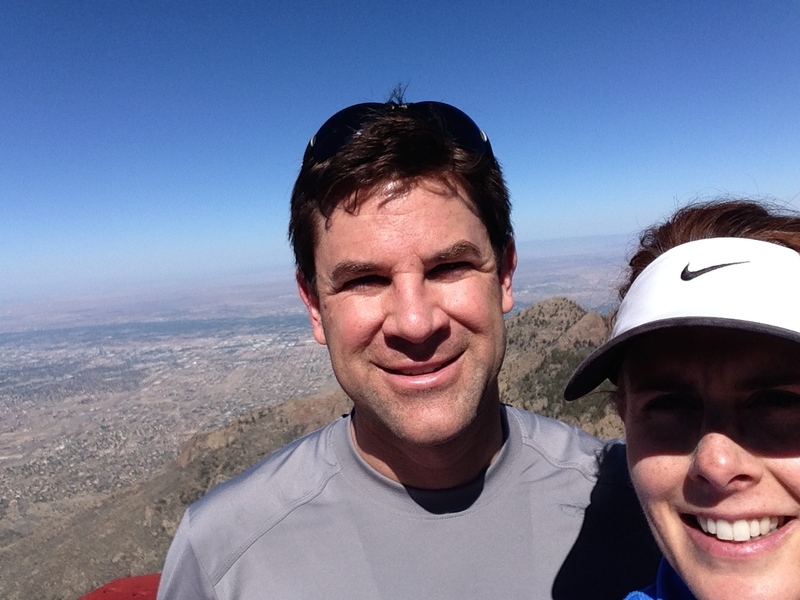 I voluntarily have signed up to run 9 miles and 5,000 feet elevation gain up Sandia Mountain. I kind feel like it is a right of passage as and Albuquerque runner to complete this race. 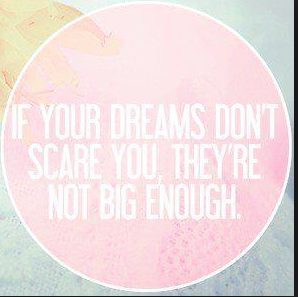 And that is all I will be doing if I get in: just making it to the finish line. The lottery takes place May 8th. We will see if this is my year. So that is what I have been up to these last couple months and my plans for the summer. What are your summer racing plans?